In 1645, a group of twelve English intellectuals began to meet regularly at Oxford to discuss how they might further the ideas of Sir Francis Bacon about improving the world through science. They began calling themselves the Invisible College. 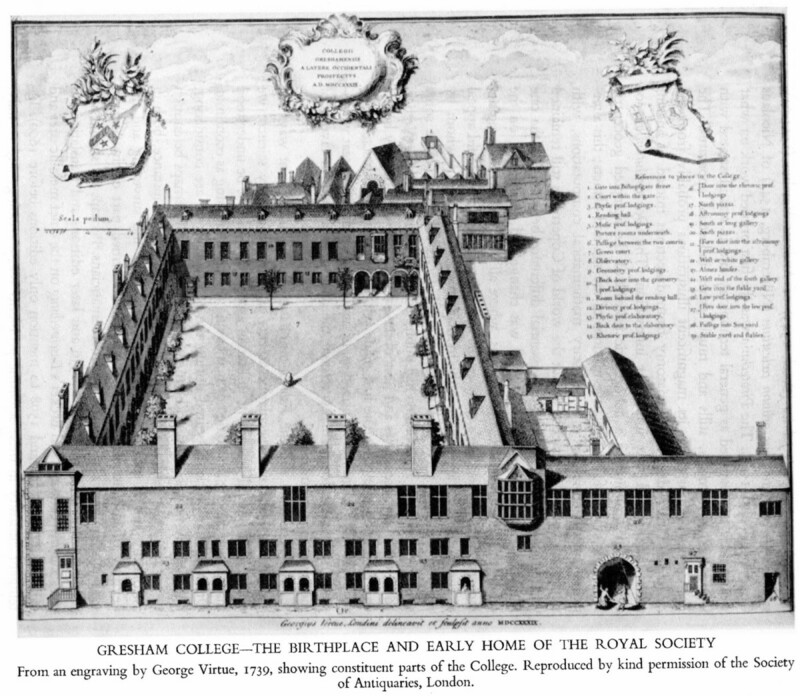 In 1662, the Invisible College received a charter from King Charles II of England, and was renamed the Royal Society (officially the Royal Society of London for Improving Natural Knowledge). This fellowship of inquiring minds featured Robert Boyle, who defined the chemical elements and studied the behavior of gases; Robert Hooke, who publicized the hidden world revealed by the microscope; Edmund Halley, who investigated the movement of heavenly bodies; Christopher Wren, the awesome architect; and Isaac Newton, first admitted for his groundbreaking work on optics. Membership in the Royal Society was limited to 35 men, who were physicians; professors of physics or mathematics; or barons. This became the model for the innumerable professional associations we have today. Soon there followed a French Academy of Science, and later the American Philosophical Society founded by Benjamin Franklin. Associations are useful for testing new ideas and publishing reports for peer review. Nearly every trade now has such an association. Sir Francis Bacon (1561-1626) was a judge and the Lord Chancellor of England, until he was found to have accepted bribes. He is known today as the man who promoted the usefulness of science. 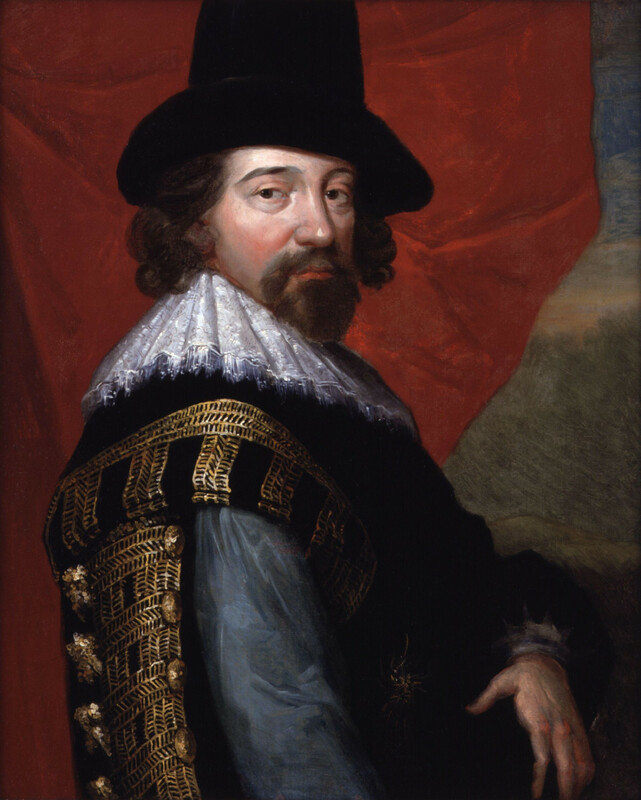 Francis Bacon was the guiding spirit behind the Invisible College and the Royal Society. Bacon was the hero of early scientists, whom they called "the master of those who know." He is also known as "The Father of the Scientific Method." Thomas Jefferson wrote that "Bacon, Locke, and Newton were the three greatest men who ever lived." Francis Bacon was the son of a courier in King Henry VIII's court. He entered Cambridge at age 12; it was there that he first met and impressed the future Queen Elizabeth. When Bacon was 45, he married a 14 year old girl. He had strong Puritan leanings. His three goals in life were to uncover truth; serve his country; and serve his church. He would become a lawyer (1579); Member of Parliament (1589); Queen's Counsel (1596); a Knight (1603); Attorney General (1613); and Lord Chancellor (1618). He played a leading role in establishing the English colonies in Newfoundland, Virginia, and the Carolinas. Bacon was always heavily in debt. He was arrested for debt in 1598; and then met his disgrace when he was convicted of corruption in 1621. He wrote a series of books and essays about the scientific method to encourage answers to be sought by experimentation. His last book The New Atlantis, published in 1627, described a world in which scientists were dedicated to improving the lives of the entire community. Bacon died after he contracted pneumonia while conducting experiments to prove meat can be preserved by freezing it. 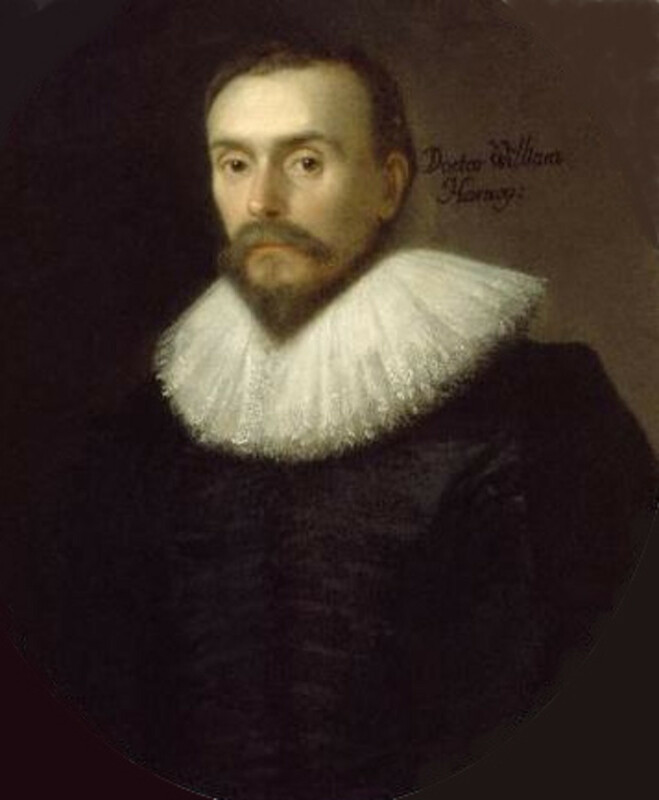 William Harvey (1578-1657) discovered blood circulation. His father was the mayor of Folkestone, England. William went to college at Cambridge. He earned two "Doctor of Medicine" degrees; first at the University of Padua and then back at Cambridge. Harvey went to Padua to study human anatomy under Fabricius ab Aquapendente (1533-1619). Fabricius had constructed an anatomical teaching theatre in 1595—the first of its kind in the world. The theatre provided a clear view for up to 300 students. 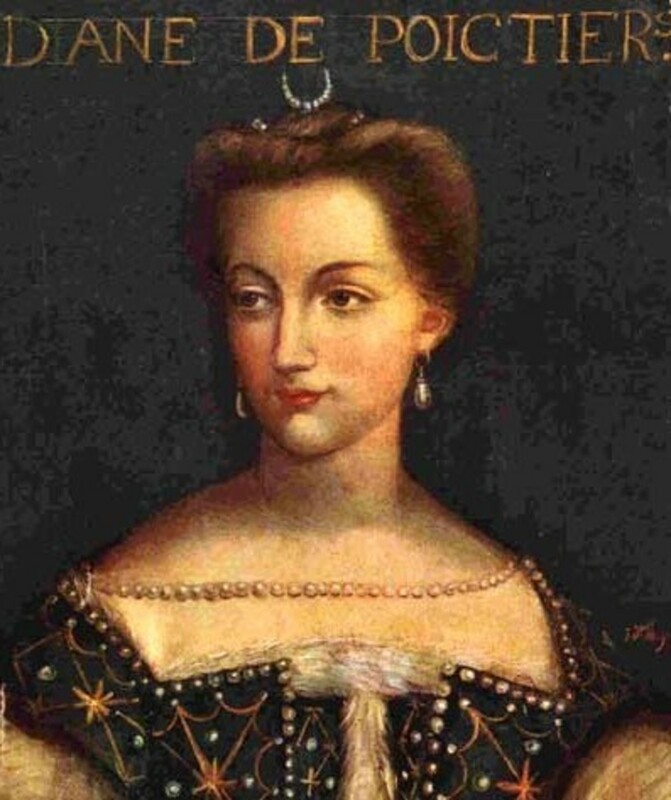 Harvey was among them in 1599. 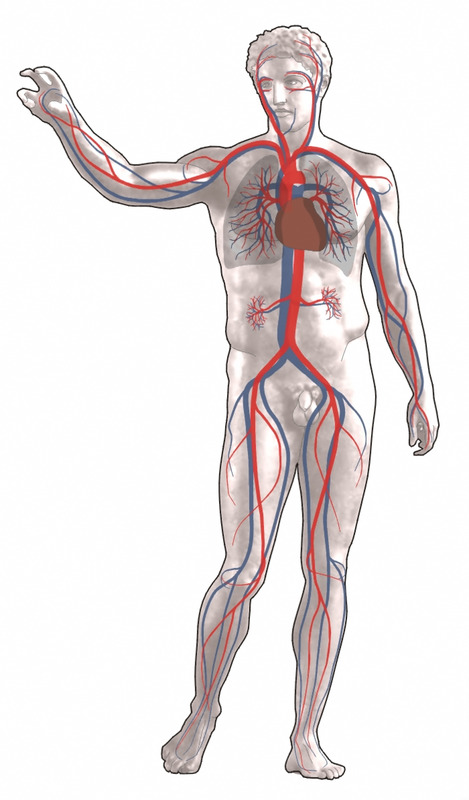 Fabricius had already discovered that the veins in human limbs contain tiny valves which only allow blood to flow in one direction. William Harvey built his concepts on this foundation and in 1628 published the small booklet On the Motion of the Heart and Blood in Animals. In it, he proclaims that the movement of blood through the body is circular, and that the heart propels the blood through the body many times each day. William Harvey discovered that arteries expand when the heart contracts and pumps blood into them. He explains: "Hence, the pulse which we feel in the arteries is nothing but the inthrust of blood into them from the heart." Harvey described his discovery of circulation this way: "The blood somehow flowed back again from the arteries into the veins and returned to the right ventricle of the heart. In consequence, I began to privately consider if it had a movement, as it were, in a circle." He did not have a microscope, and thus was unable to see the capillaries that complete that circle. Harvey revealed that blood flows through the body to provide nourishment to the organs. This is the foundation of modern physiology. He practiced medicine and ran a large hospital most of his adult life. He was also appointed the Royal Physician by two Kings of England. He had distinct ideas about hospitals. He did not believe them to be a place for dying—for the terminally ill. Dying should be done at home. Hospitals should only be for healing and curing people. Harvey also warned against allowing hospitals to get bogged down with people who were not seriously ill.
"In God's most holy name, endeavor yourself to do the best of your knowledge in the profession of physic to the poor. You shall not, for favor, lucre or gain, appoint or write anything for the poor but such good and wholesome things as you shall think with your best advice will do the poor good, without any affection or respect to be had to the apothecary. And you shall take no gift or reward for your counsel. This you will promise to do as you shall answer before God." William Harvey is described as a very humorous man who loved literature, an avid birdwatcher, and a heavy coffee drinker. He suffered from insomnia and gout most of his adult life. He died of a cerebral hemorrhage. 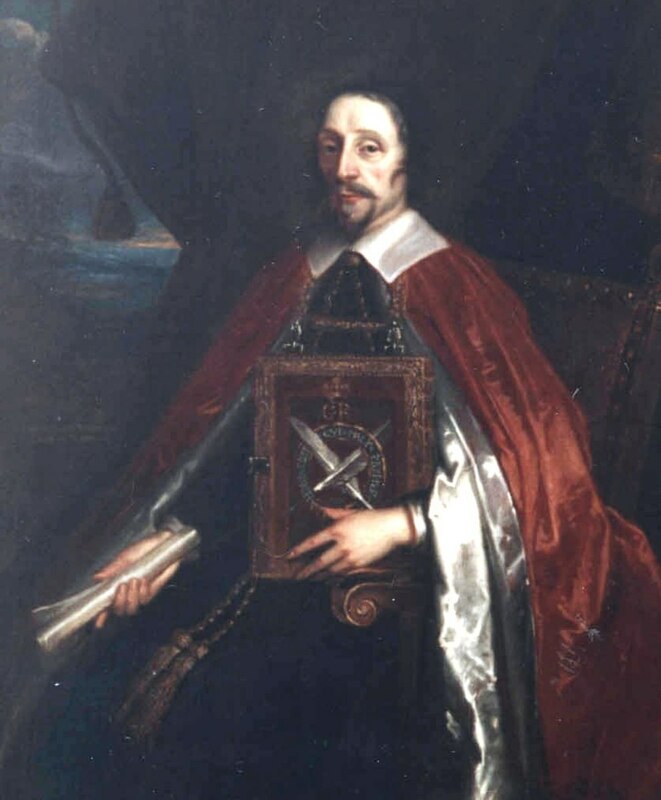 Henry Oldenburg (1617-1677) was a German theologian who became the first Secretary of the Royal Society. He first came to London in 1653 as a diplomat. Oldenburg built a reputation as an intelligencer. In fact, he was long suspected of being a spy. Henry Oldenburg was the first scientific journalist. He hatched the brilliant idea to carry on correspondence with all the leading scientists of Europe. Rather than wait for entire books to be published, letters are much better suited to quickly communicate facts or new discoveries. 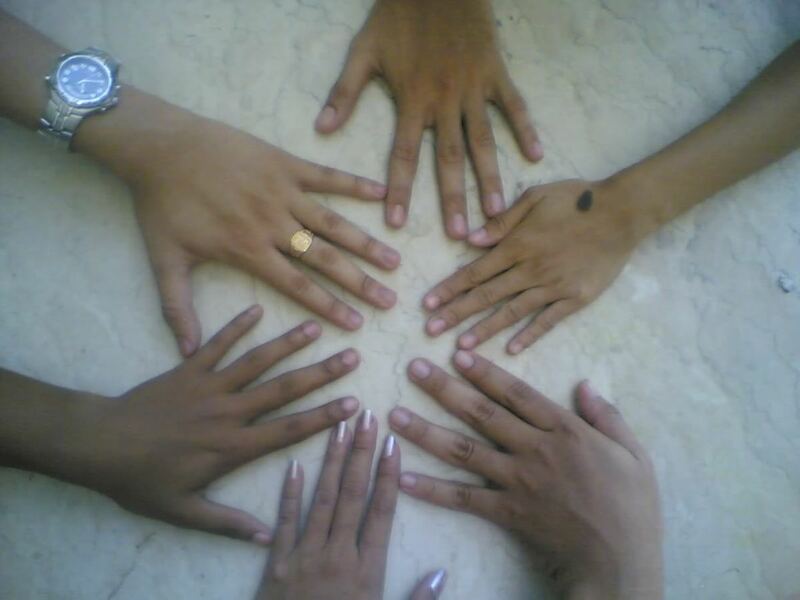 This signaled a new incremental approach to the study of science, to advance knowledge step by step. From these letters the printed scientific "paper" or "article" was born. Oldenburg originated the scientific journal, and the practice of peer review. Henry Oldenburg wrote to anyone in Europe he thought might have or be able to find scientific information. All people were invited to write to him, even laymen who were not involved with science but had discovered some bit of knowledge. And no longer did this knowledge have to be conveyed in Latin. Oldenburg invited letters in any vernacular language. This exchange of ideas became widespread in Christendom, and led to a system of universal measurements. "It is therefore thought fit to employ the printing press, as the most proper way to gratify those who delight in the advancement of Learning and profitable Discoveries, clearly and truly communicated, desires after solid and useful knowledge may be further entertained, ingenious Endeavors and Undertakings cherished, and invited and encouraged to search, try, and find out new things, impart their knowledge to one another, and contribute what they can to the Grand Design of improving Natural Knowledge. All for the Glory of God and the Universal Good of Mankind." 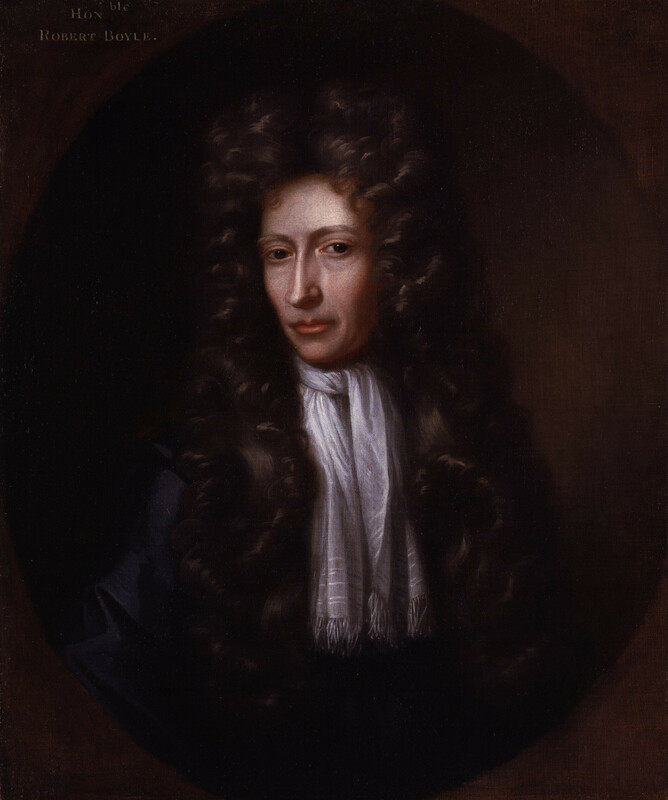 Robert Boyle (1627-1691) is the "Father of Modern Chemistry." He was born in Ireland, the 14th child of the Earl of Cork. At the tender young age of 8, he was sent to Eton College, already fluent in four languages. Boyle became an alchemist. Boyle promoted the idea that the natural world was a world of order, which became the basis for the empirical method of scientific inquiry. It was Boyle who named the Invisible College. He was the first man to demonstrate that substances are made of atoms. He also pioneered the use of the vacuum to study gases. He Boyle published his masterpiece in 1661: The Sceptical Chymist. In it, he concluded that if air could be compressed it had to consist of tiny particles. Therefore, he reasoned further, everything must be made up of tiny particles that collected and became large "corpuscles." Boyle was devoted to God, as much as to science. He loved the Holy Bible, and saw no conflict between science and theology. On the contrary, Boyle believed that God allowed man a window into his perfection through science. The ultimate goal of science was to know and worship God. Robert Boyle devoted his later years—and his wealth—to printing and distributing Bibles in various languages. He paid for the very first Bibles translated into Irish, Welsh, Indian, Turkish, and Malaysian. Boyle became director of the East India Company, and worked tirelessly to promote the spread of the Gospel in the East. 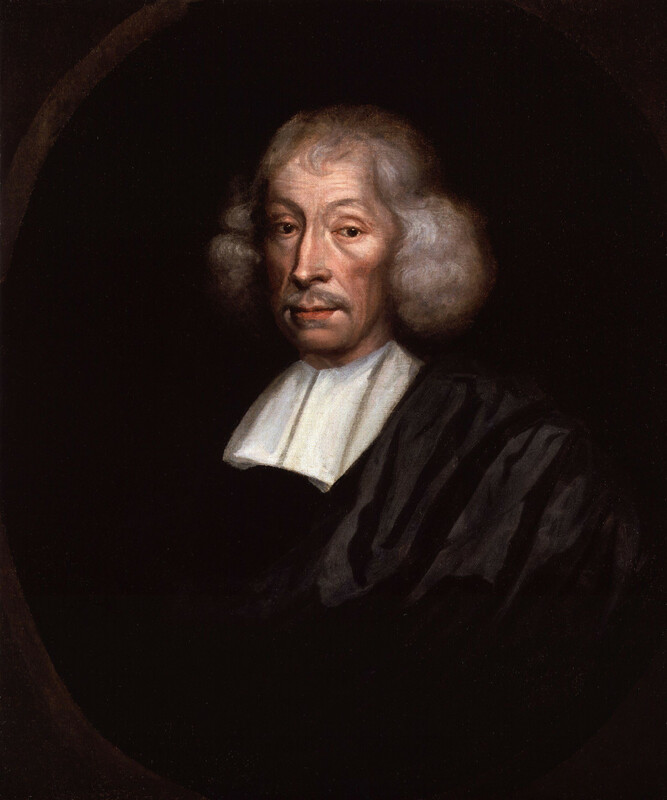 John Ray (1627-1705) invented the definition of "species" in 1682: "A name for a set of individuals who give rise through reproduction to new individuals similar to themselves." He believed that each species was fixed and could not mutate into any other species but its own. As he said: "Forms which are different in species always retain their specific natures, and one species does not grow from the seed of another species." Ray's mother was a renowned medical herbalist who encouraged John's interest in botany. His father was a blacksmith. Ray entered Cambridge at the age of 16, and would later lecture there for ten years on botany. He also tutored; and preached the Gospel. 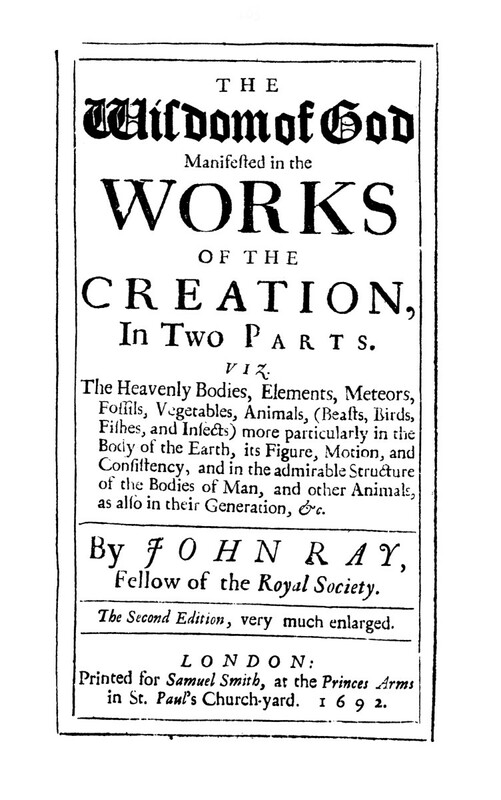 The master work of John Ray is General Account of Plants, which details his system of classification organized according to fruits, flowers, and leaves. Ray said: "The wisdom of God is manifested in His creation." Robert Hooke (1635-1703) published Micrographia in 1675. This book featured 57 amazing illustrations drawn by Hooke that revealed for the first time the eye of a fly, the shape of a bee's stinger, the anatomies of fleas and lice, the structure of feathers, the plantlike form of molds, and the honeycomb structure of cork. 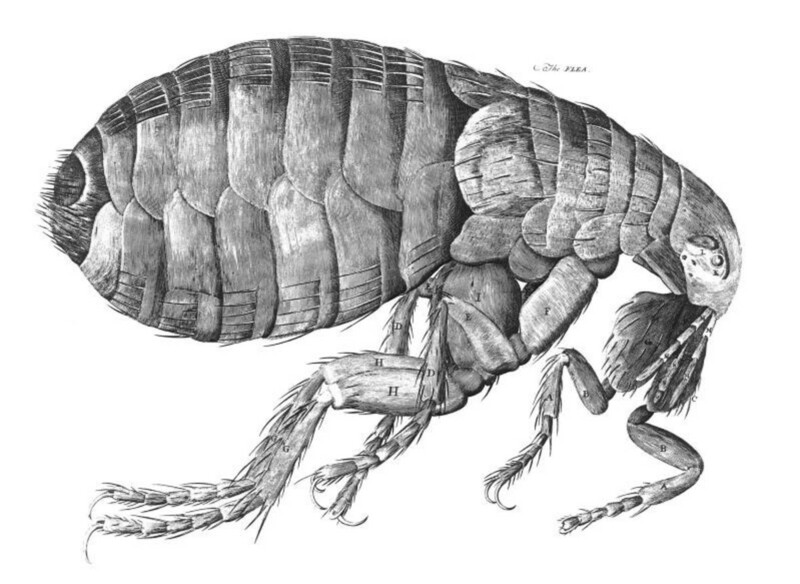 The illustrations of Robert Hooke were used in textbooks for 200 years, though at the time he published them, most people thought them merely products of his imagination. Robert Hooke was born on the Isle of Wight. His father and two brothers were ministers. While a student at Oxford, he was employed to assist Robert Boyle. 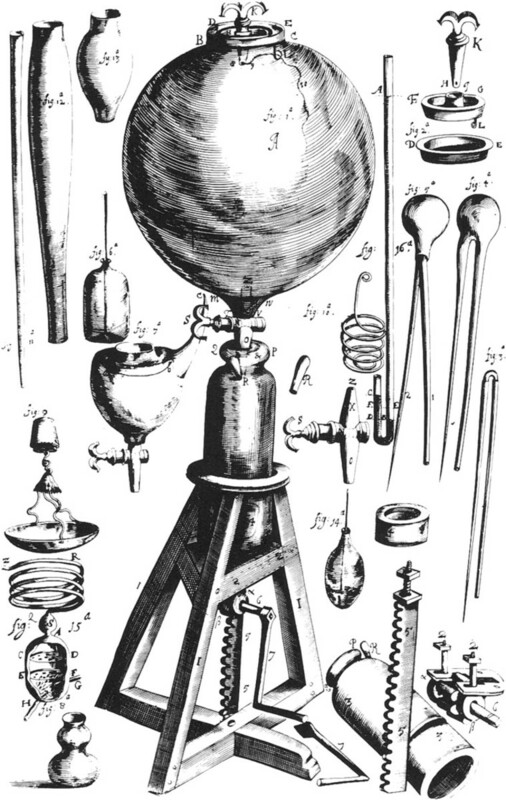 In 1662, Hooke became the Curator of Experiments for the Royal Society, a position he held for forty years. Robert Hooke, a diminutive man with a crooked spine, was very good friends with Christopher Wren. Besides those talents for which he is famous, Hooke was also an architect; a professor of geometry; and a pioneer in surveying and cartography. He has been called "England's Leonardo." Robert Hooke coined the term "cell" to describe the basic unit of life. He derived the term from the cells in which monks lived. Hooke wrote that his life's ambition was to "Inquire into God's work" because he felt "destined by God to explore and study His creation." Christopher Wren (1632-1723) is the greatest architect in the history of England. After the Great Fire of London in 1666, he was put in charge of rebuilding 51 churches, including his masterpiece: St Paul's Cathedral. It took 36 years to build St Paul's Cathedral of London, a building which inspired the design of the United States Capital. The architectural work of Christopher Wren reflects a wonderful balance between reason and experience on the one hand; intuition and imagination on the other. Christopher Wren was an Oxford man and a Freemason. He was knighted in 1673; and became a Member of Parliament in 1680. Christopher Wren was not only an architect. Wren had a wide range of interests in which he displayed talents of the first rank including astronomy, meteorology, mathematics, agriculture, ballistics, optics, and all things mechanical. Anton van Leeuwenhoek (1632-1723) is called the "Father of Microbiology." He had no formal education, was not a scientist, and was often called an amateur during his time on earth. He was a successful draper (one who sells cloth) who was in the habit of using a magnifying glass to inspect the quality of cloth. He was a close friend of another citizen of Delft, the Netherlands, the eminent artist Jan Vermeer. 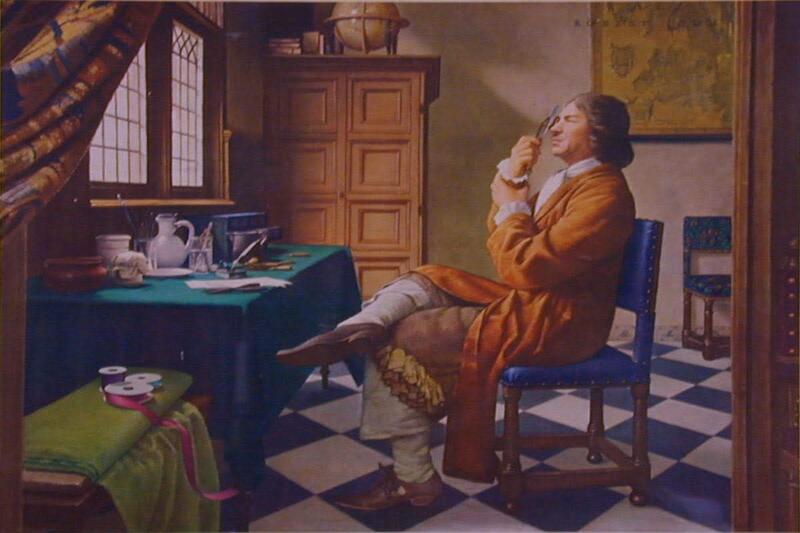 Leeuwenhoek invented a microscope that magnified by 500 times, so he could better inspect the quality of cloth. 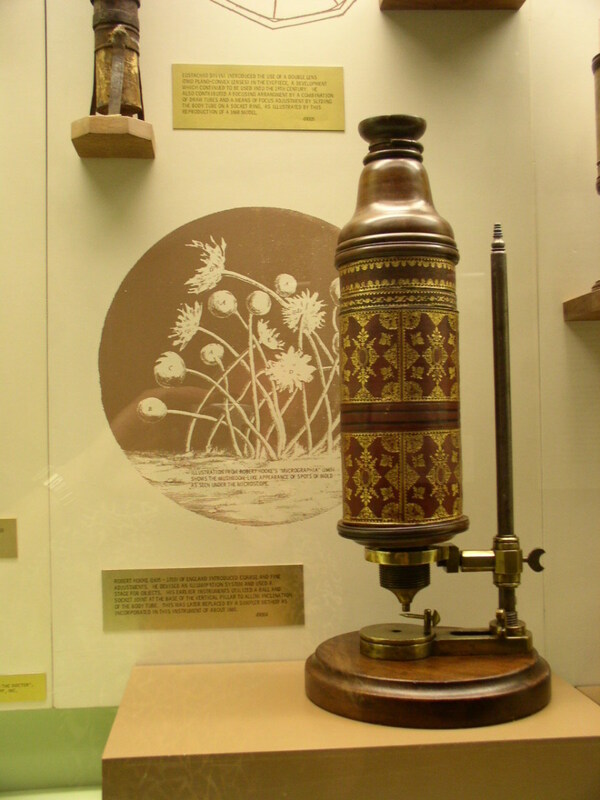 How he created this microscope remained a secret until 1957. In 1674, Leeuwenhoek turned his instrument on a drop of water and wrote: "I now saw very plainly little eels, or worms, lying all huddled up together and wriggling, many thousands of living creatures, seen all alive in a little drop of water, moving among one another." 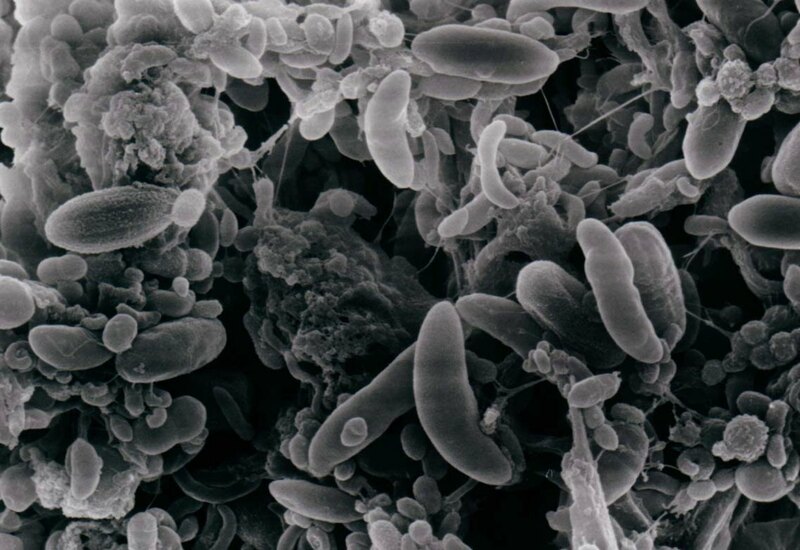 The first people he allowed to look through his microscope to see these single-celled organisms accused him of being a magician. When he wrote about these living creatures too small for the eye to see, men of science said he must be hallucinating. To persuade the Royal Society it was true, he produced affidavits from pastors, notaries public, and other respectable citizens that they too had seen these vast populations of tiny creatures through his microscope. Leeuwenhoek had discovered bacteria. Leeuwenhoek was elected a fellow of the Royal Society in 1680. When he died in 1723, his daughter Maria sent a cabinet to the Royal Society that contained 26 microscopes her father had crafted from silver. In 1981, the original specimens of Leeuwenhoek were found in the collection of the Royal Society—still in excellent condition. Anton van Leeuwenhoek was a devout Calvinist Christian. When he was five years old, his basket-maker father died, leaving behind a widow and five children. Leeuwenhoek said that his discoveries "were proof of the wonder of God's creation." Lisa ~ Thank you very much for taking the time to read my article. I wish I knew the origin of that panting but alas I don't. Sorry. I appreciate the visit and you are welcome. platinumOwl4— You ask a great question, my friend. What meaningful contribution will we leave indeed. Well, I will leave thousands of small acts of kindness. I hope I have illuminated a tiny part of the minds of a few folks. I have entertained a mountain of people with my music, and perhaps palliated their pain and loneliness for a short while. I hope to leave behind a few books that might make a difference in some way. James A Watkins, When I read an article such as this I only have one question. What meaningful contribution will I make and leave to an evolving society? James - I really enjoyed this perceptive and intriguing hub on the giants of early modern science. Thanks. pastor sam barr— You are most welcome, Pastor. I am glad you enjoyed it. Welcome to the Hub Pages Community! Thankyou James for a very interesting article, enjoyed it very much, good research, keep it up your articles are certainly informative. Nell Rose— Thank you, my dear, for your kind comments. I wish I had a time capsule too. That would be a gas. I appreciate your warm words. And you are welcome. I love all the science, history and pics you offer. Your hubs are truly inspiring, James. stars439— St Paul's is beautiful, to be sure. Thank you for complimenting the picture selections. I appreciate you taking the time to read my works and for leaving wonderful comments. Very interesting and insightful hub. Such great men of early times. Saint Pauls Cathedral is awesome. GBY Wonderful Photography. Amazing picture of St. Pauls´.. Thank you again for a wonderful history lesson. Always nice to be appreciated James. Rod Marsden— I believe you are correct about St Paul's. Your comments are always very sharp, thoughtful, insightful, and wise. Thank you for posting them on my Hubs. I appreciate the support, too, of your readership. William Jordan— It is good to hear from you again. Thank you very much for the applause. JSAlison— Thank you for the accolades. I thought it important to show the connection between the faith and the intellectual powers of these men since many of the young today are convinced science and faith must be in opposition, which is not true. Welcome to the Hub Pages Community! I have a copy of New Atlantis by Francis Bacon I bought years ago after getting my first degree. It isn't very long but it does give you some insights into the man. It is idealistic stuff where the hope is that science will someday come into its own. 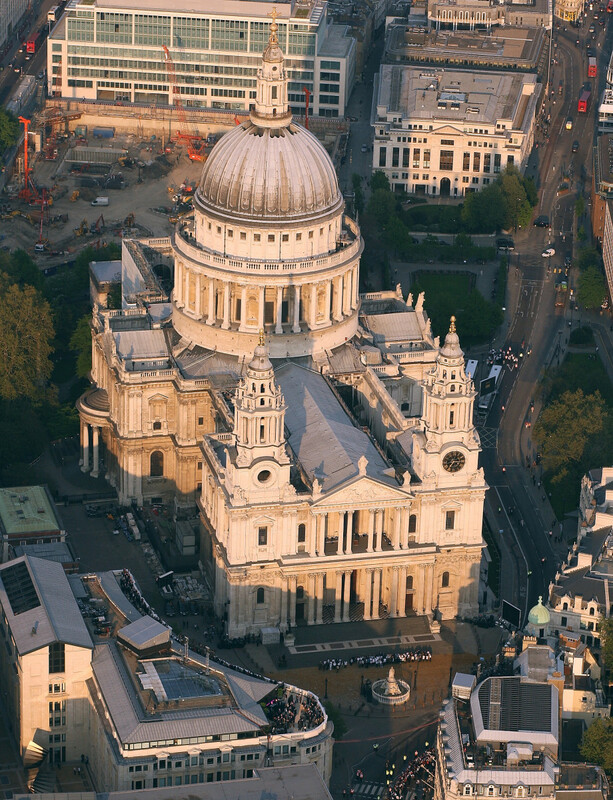 Wren was one of a number of top architects who wanted to be given the task of designing the new St. Paul's Cathedral. He got the job but I believe St. Paul's does not reflect completely his original design. Compromises were made that he was not entirely happy with. 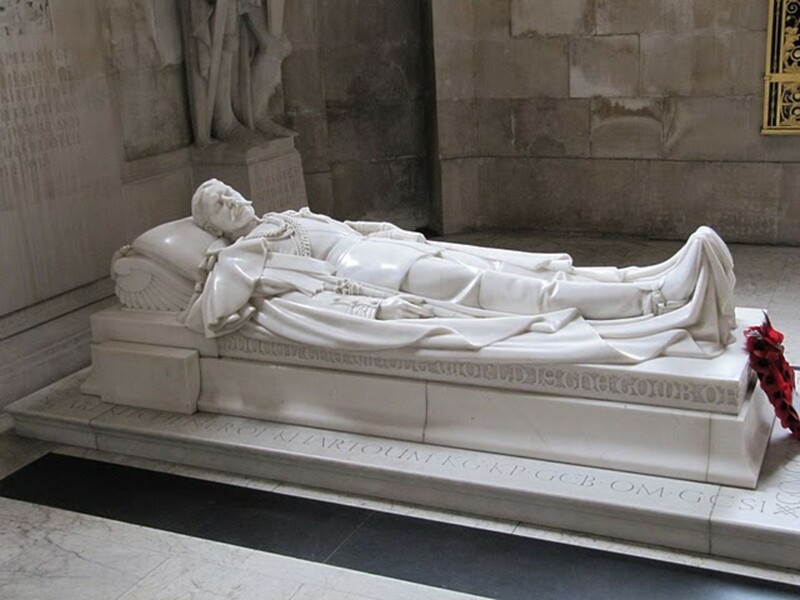 Even so it is a magnificent cathedral and he is not the only Freemason to have a connection with it. This is an extraordinarily well written and well researched piece. You have some talent, Mr Watkins. I am also glad you made the connections between men of science and their religious faith plain, too. Militant secularists are a tiresome bunch and I say that as a non believer with a degree in the sciences. Wayne Brown— You are welcome, WB. I think we still have brilliant scientists but most don't have the sense of humility I see in these men. And rather than having a mission to explore the world made by a Creator, many seem to be on a mission to find evidence by which to dismiss the notion of a Creator. Hello, hello,— You are quite welcome. Thank you for taking the time to read my word. I appreciate your kind regards. The hub has displayed the amazing historic facts of glory of ancient scientists. carolina muscle— Yes, he was that. Thank you for coming by to visit, my friend. I appreciate the compliments. Thank you for such a comprehensive information about people we know the name and a few points but never all that. Thank you for doing so much research and putting it all so well together. Sir Christopher Wren was an interesting character.. great hub, James. itakins— Big whoops!! I don't know why that didn't register with me. Thank you very much for the correction. It has been fixed. I appreciate your gracious comments. Thanks for reading! "This eliminates any suggestions that Christians are not intelligent... In fact history proves that being a Christian may very well be the very beginning if wisdom!" 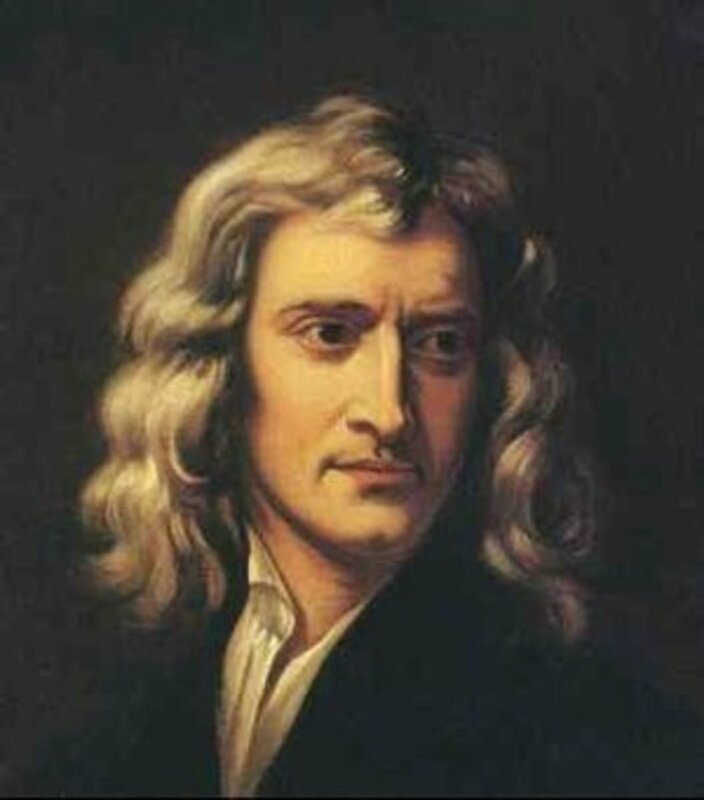 De Greek— There is one more to come, that being on the giant of them all: Sir Isaac Newton. I'll put it out tomorrow. Then I'm going to change subjects for a while. I am well pleased that you appreciate my work here. Thank you for visiting and commenting. Sorry Tom too ... btw I also agree that 'evolution' (at least in terms of "the origin of species") is nonsense. I was a bit touchy. Think before click. I apologize. That makes Boyle Irish ,surely. Besides the above error!...brilliant article-as always. drbj— Deal! I'll hold up my end of that bargain. I love writing Hubs and interacting with the Hub Pages Community. Thank you very much for the gracious compliments. Gerry Hiles— I did follow that link to your school. Interesting! Gerry Hiles— I think you and Tom simply misunderstand each other. William Harvey was firm that doctors should treat poor patients free of charge (and make their living off those who can afford to pay). He was never in favor of the government confiscating some people's income to pay for other people's medical care. In fact, in the USA, before the government got tragically involved with health care in the 1960s, there was a 300 year history of doctors treating the poor at no charge. Now, they bill the government. Tom Whitworth— You are welcome, brother. Thank you for your keen insights. I agree with John Ray, not Darwin. 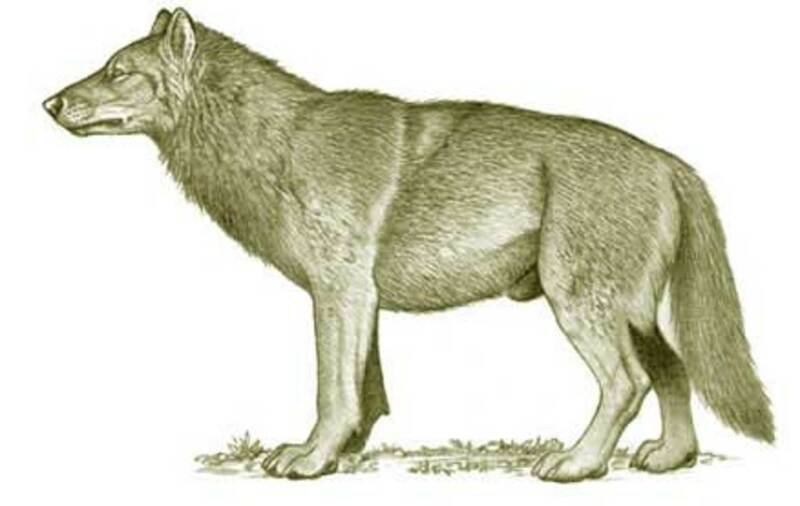 Darwin's ideas about species changing into other species is subject to increasing doubt. After all, in 6,000 years of recorded history, NO ONE has ever seen anything change into something else other than the species it was born into. Darwin's defenders say "It's too gradual to see." Gradual or not, if it was happening somebody would one day see a fish climb out the ocean and fly away as a canary or something. I'll tell you what it is: nonsense. bgpappa— Hey bg! It's good to hear from you. Thank you very much for your gracious comments. And you are welcome. fred allen— I think you are right on all three counts. One thing that is oddly common in the bios of these men is most of them are described as "sickly." Curious. Fullerman5000— Thank you for the affirmation and encouragement. I sincerely appreciate your comments. tlpoague— You are welcome. Thank you for reading my work and leaving your kind regards. I'm going to come by and check out your latest Hubs. Another work of art, James. You picked a powerful subject and did it justice. I had heard of most of these guys and of the Royal Society, but never knew of its fascinating beginnings... until now. Thanks! I thoroughly enjoyed this hub especially since I am familiar with most of them. I used to talk especially about Harvey, Hooke and Leeuwenhoek in my Physiology and Biology classes. You are really the best historian around here James! You have the knack, James, of making history come alive and infusing the mundane with awe and wonder. Don't stop writing these magnificent hubs and I promise not to stop reading them. Furthermore I have a personal stake in this, because, as I said earlier, I went to the school named for him and that was not for profit or gain either. Quite a few notable people (not I) went to that school, look it up if you are interested. Think again Tom Whitworth, how dare besmirch the man who said, "Attend to the poor ..." "Not for lucre or gain ..." How dare you! Thanks for the great information on the giants of bygone days. I don't think that John Ray would agree with the work of Darwin. 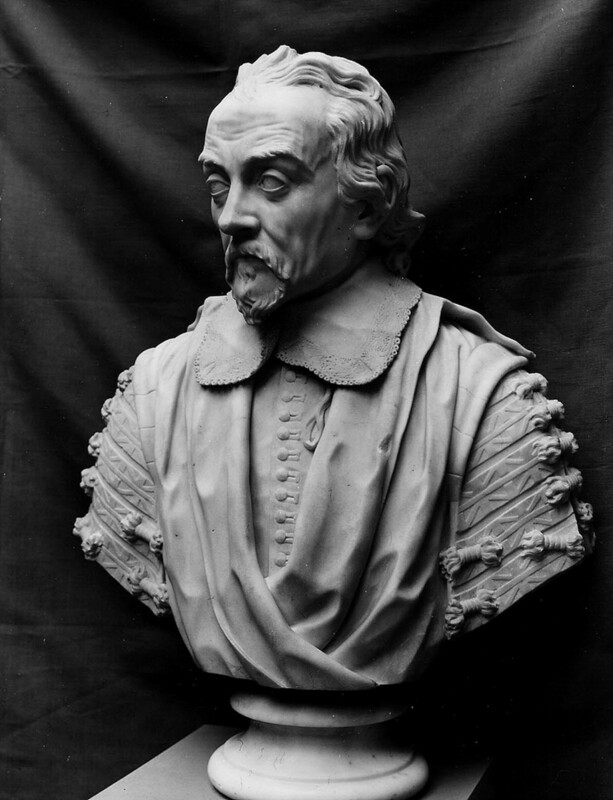 I also think that William Harvey would take strong issue with Obamacare of any other Socialized medicine. Another great hub which interesting facts about known, and more importantly, some unknown historical figures. Great read, thanks. Some of these men I have heard of, many I haven't. Very interesting Hub!! How is the book coming along??? Thank you for another excellent Hub! CASE1WORKER— Yes indeed! Thank you for your keen observations. "Today we realize that hospitals are germ coffins and are the worst place to be for the compromised in terms of health." Paraglider— It is always a pleasure to hear from you, my erudite friend. I am glad you are enjoying this series. Only one left to go: Sir Isaac Newton. I have read about those squabbles, yes. I enjoyed your digression. You never fail to have something interesting to say. I do respect genius. It must be great to have a friend who is in the Royal Society. You walk in the tall cotton! They sure dressed funny back then! They may have been smart, but I bet we coulda beat them at arm wrestlin! I enjoy your hubs, because there is so much to learn. Not boring at all like some history can be. Very intersting. Good Hub. This is history James.One of the best Hubs. This is a very informative hub and interesting. I would have never thought to look into the history of these gentlemen. Thanks for sharing. Fascinating research, James! I am impressed by the fact that these great men were, for the most part, Christians, and thus did not have to doubt the founding of the world, but rather could proceed a step ahead of our generation and discover things that verified their belief. Excellent work, as usual. I would never have known, if I lived to be 100, that William Harvey had such progressive ideas regarding long-term care and believed that hospitals were not designed for the dying. Today we realize that hospitals are germ coffins and are the worst place to be for the compromised in terms of health. I will, as always, re-read your vast wealth of information. Thank you for educating me in such an interesting way. My tenuous connection is with William Harvey, because I went to the Harvey Grammar School in Folkestone. It was established in 1674 by relatives after Harvey died. I always appreciate the way you are able to illustrate the ability of genius and faith to live in the same mind. I think you are quite on a par with those you chronicle. Hi James - I'm really enjoying this series from you. I'm sure you know that the rivalry between Hooke and Newton was intense and at times vitriolic. They detested each other! Bacon's scientific method was actually logically flawed but it was so productive that nobody noticed the fallacy until David Hume. He pointed out that induction is merely intuitively but not logically justified. No-one, not even Russell, had an answer to Hume's Problem, until Karl Popper demonstrated that science is not 'proven' fact, but 'un-disproven' theory. But I digress. I have a friend who is a Fellow of the Royal Society. He comes across as a normal guy until you mention mathematics. Then you find he's moving in realms most of us can't even imagine. You have to respect true genius. The things we take for granted, we see everyday, we use and hear about, these all were discovered or invented by someone. It is always so interesting to hear the origin of these things and the way you write it makes it even more inviting. Thanks Jim.